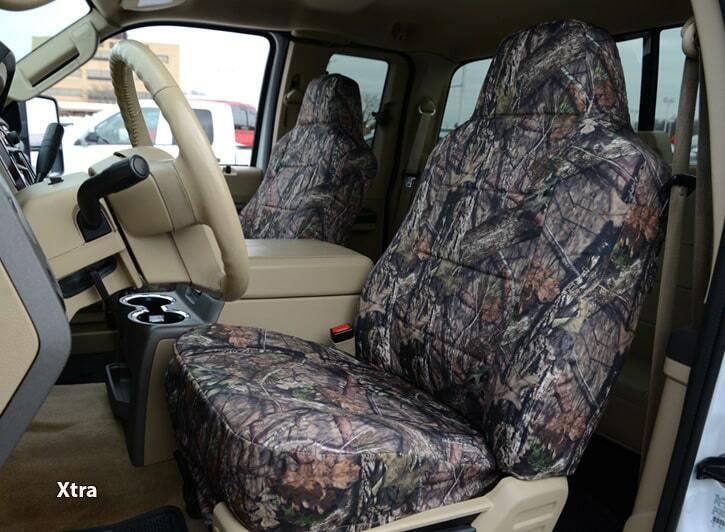 ﻿ Luxury Realtree Camo Seat Covers | ShearComfort Seat Covers Ltd. This line offers the finest Custom Seat Covers made in America. 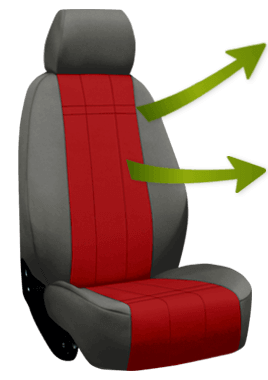 Manufactured by Ruff Tuff Products, these top of the line seat covers are designed and Tailor-Made to your seat specification. For those who want the very best! ShearComfort's Luxury Line Realtree Camo Seat Covers are the best of both worlds. Protective, yet attractive. You get durable, highly water-resistant seat covers paired with one of the most stunning camo patterns from the well-known brand. Pick from four intricate camouflage designs: Realtree Max-5 HD, Realtree MAX-4 HD, Realtree AP Snow, and Realtree Xtra. Luxury Line Realtree Camo Seat Covers are essential for any hunter or camo lover who wants the highest quality product available. Note: Sof-Touch or Exotic can be combined with the Luxury Line Realtree Camo as a Trim (sides & back) or Insert fabric. Insert is available in Perforated or Solid Sof-Touch. This creates a unique, luxurious, and stunning look to your Camo seat covers. This high end simulated leather has a soft feel. It looks and feels so good that people often mistake it for genuine leather. Sof-Touch is also water and mildew-resistant, protecting your seats from stains and spills. The UV stabilized pigments and top coating ensure that your seat covers will last a very long time. What Makes Realtree Camo a Luxury Line Product? 1. Material Quality and Durability - Made from a blend of 600 denier polyester and nylon, Luxury Line Realtree Camo Seat Covers are a tough, abrasion and water-resistant product and are easy to clean with a damp cloth. 2. Extraordinary Attention to Detail During Manufacturing - Proudly made in the United States by Ruff Tuff Products. Expert craftsmen and women pay extraordinarily close attention to detail to ensure the highest quality look, fit, and protectiveness of each product. Also, this product is made with 3/8th inch foam for superior comfort. Not only is this material from ShearComfort's Luxury Line, but it is the genuine material from Realtree, Each pattern will have the same level of detail and ultra-realistic design you've come to expect. Choose from four unique patterns: Realtree MAX-5 HD and Realtree MAX-4 HD with shadowed browns and tan hues for waterfowlers, Realtree AP Snow with a glacier white and natural browns for snow goers, and Realtree Xtra with softer, lighter tans for hunters to blend in all year round. Pockets are an excellent option for storing a pistol on the front of your seat. Each pocket is designed to hold one pistol and two magazines. They work for both left or right-handed users. They are equipped with Velcro, making the pocket detachable from the seat. Each pocket is padded and lined with velour to protect the pistol from wear and damage (please abide by your local, state, and federal gun laws). Product Review: Nicest seat covers I’ve ever owned! Super easy to install and custom fitting was awesome! Great product! General Experience: Great customer service! Easy to order product online! Product Review: Seat covers fit very snuggly, a little tough to install by yourself really need two people to install. It makes it easier with two people, one pulling on each side at the same time. The instructions could be a lot better, they are very vague. I would recommend they seat covers to anyone looking for good quality covers. Product Review: Great seat covers! Fit perfect bought for my granddaughter and she loves them!!! General Experience: Very easy purchase. I had a question and called customer service and they were very courteous and knowledgeable! Highly recommend.